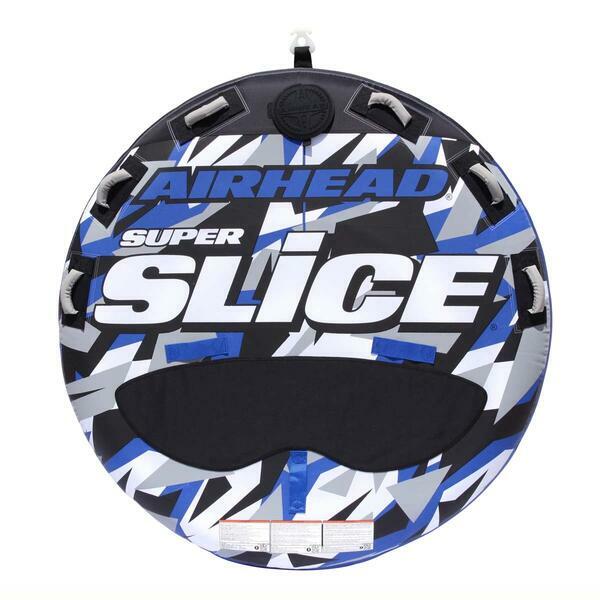 The Airhead Super Slice is one in a collection of inflatable towables for water sporting by Airhead. In the Airhead collection, you may find inner tubes that feature different safety, comfort and innovative mechanisms. 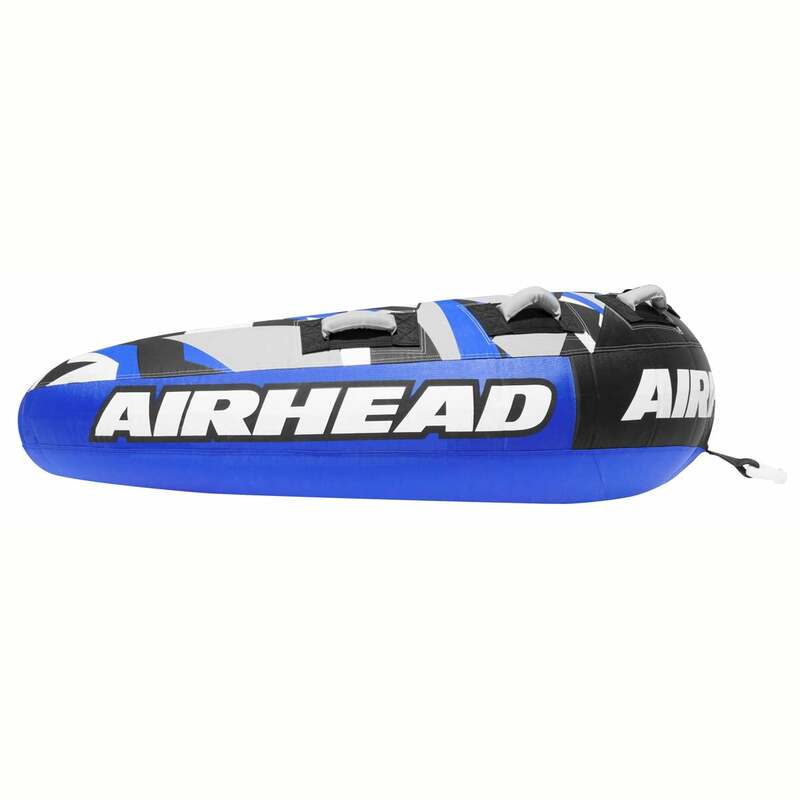 The Slice line of Airhead inner tubes features flat-laying, streamlined inner tubes that cut in and out of the wake with speed and accuracy. All of the Slice inner tubes feature a slanted tapered design that allows for easier onboarding after a fall. The Super Slice is made “super” for its size. It fits up to three riders. Each rider is equipped with ample space that is covered in a neoprene panel for comfort. Each rider has access to multiple nylon wrapped handles with knuckle guards. Inside, the Super Slice is inflated with a durable 30-gauge virgin PVC bladder. The bladder is fully protected with double-stitched nylon covering. The towing harness is internally reinforced. The construction is made with two things in mind: comfort and longevity.